Earlier this summer I was sitting down to lunch with a friend of mine who is an avid cyclist, a great listener and an all-around good guy. He had recently taken a position as a board chair and I suggested he might want to carry the card with him to meetings. If anyone droned on too long, he could slide the card to the speaker with a wink. He chuckled and put the card in his pocket. A few minutes later we were talking about how my cycling was going. I was preparing for the Pan Mass Challenge, which is a 192 mile ride across Massachusetts to raise money for Dana Farber cancer research. I had done this event once before and found it inspirational, emotionally powerful and physically difficult. The problem I was having this year was that I still felt unprepared. When my friend asked me how the training was going, I started to talk about how I was worried about my speed and my pace. I knew that I could do the ride, but would I be able to keep up with my group? Would I be able to beat my time from the previous year? I shared with him that I was worried I might embarrass myself by not doing my best. It took me a minute to realize what he had just done, and when I finally did I laughed so hard I practically spit my drink all over the table. His point was that nobody cares how fast I ride because this isn’t a race. I didn’t sign up for the PMC because I wanted to show off my cycling prowess. I signed up because I wanted to do something, anything to fight back against cancer. What my friend was able to do at that moment was to gently and humorously hold a mirror up and illustrate how self-centered I was being in that moment. With this newfound realization, I was able to relax and go into the weekend with a more carefree frame of mind. I did finish the ride, and I did ride faster than I ever had before, but it turns out that it didn’t really matter. It was never about me and my performance. It was about being a part of something bigger. When I thought about this moment, I came to the realization that we can confuse ourselves by believing that we have to perform to a level of expectation that no one assigned us. How often are you afraid to do something that you have never done before because you are afraid to be bad at it? Have you ever studied a foreign language only to choose not to use it because you are afraid of making a mistake and being laughed at? This approach isn’t about doing a good job at something that you are supposed to be good at. The heart surgeon and the tightrope walker train and practice to get better at their skills. Their anxiety is often less about what people think about them, rather it is about the problems in front of them. Being a beginner, however, is entirely different and can bring up anxiety and paralysis for many people. I have begun to ask myself what it would be like if I did new things and didn’t care what people thought about it? What would it feel like if I could fail happily? 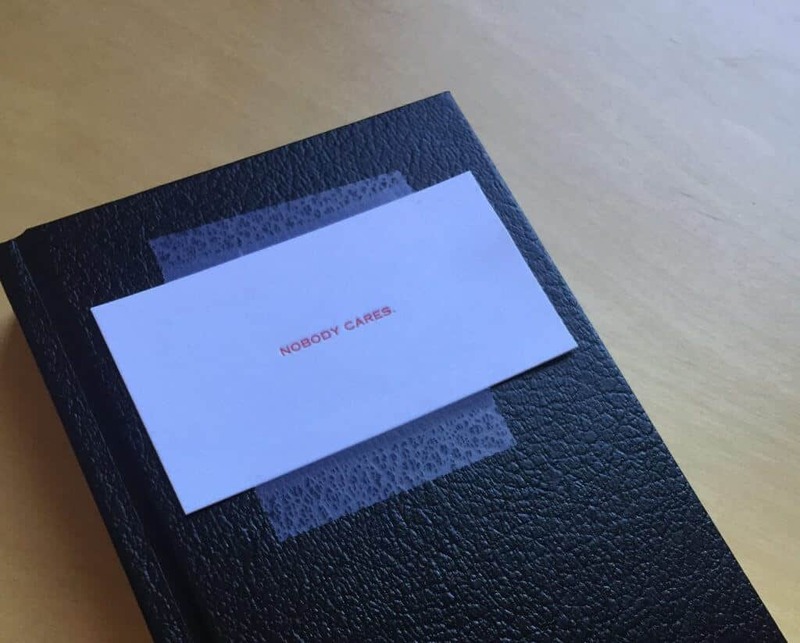 So I started a “nobody cares journal” for the purpose of exploring this idea. I have taken it upon myself to do at least two sketches in this journal every day. 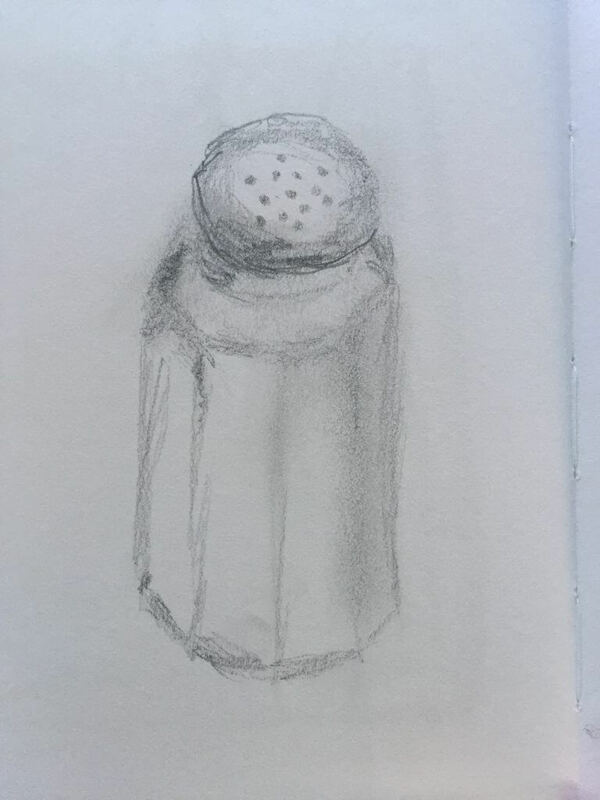 I try to sketch things that I see, and I try to let go of the need to be good at it. I really have no idea what I’m doing and that is kind of fun. Here is my premise: I do these drawings to experiment with the idea that no one really cares if I am any good at drawing. I might discover that I like it or I might discover that I learn how to get better, but no one is depending on me to perform. And that is something that I think that I see people struggle with when it comes to communication. We want so badly for others to perceive us in a certain way that we lose sight of the fact that most people are not thinking about us at all. All of my worry about whether I will be going fast enough for the group, or someone else’s worry that he/she won’t do a great job in the presentation interfere with us being 100% present in the moment. This worry takes us out of ourselves. 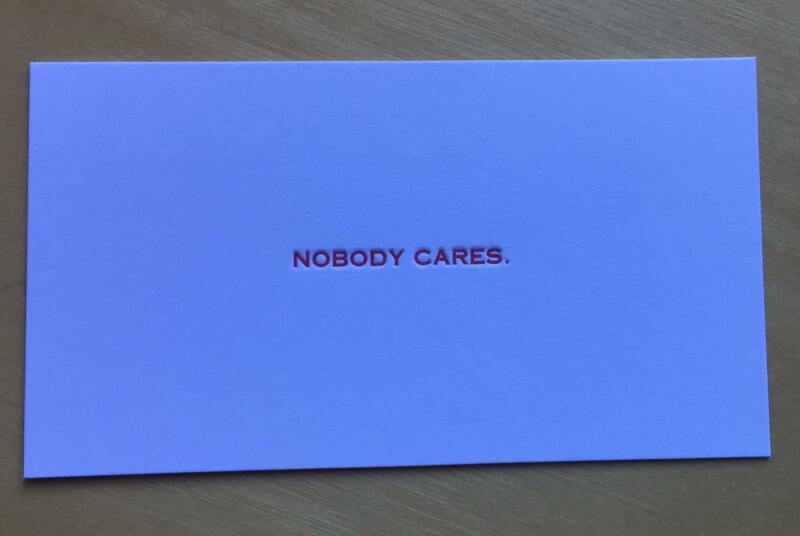 My recommendation is that we all start our own, “nobody cares” journal and see what comes of it. Maybe you might like to write poems, draw or paint. Who knows? The trick is to do it without the pressure to be perceived as being “good” at it. Leave that alone. You have permission to be absolutely average at whatever you do. Just explore what it feels like to do it. I am deeply appreciative of my friend for his humor and honesty. Learning that not everyone is as concerned with us as we are with ourselves can be a humbling pill to swallow, but the positive impact is that we get to be free from the belief that everything we do matters so much. Once we are able to let go of the expectation that we have to be perfect, we can be free to discover new things about ourselves that we never knew.